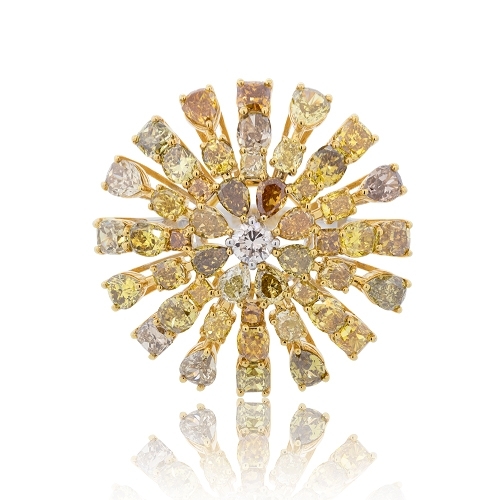 Colored diamond cocktail ring mounted in 18k yellow gold. Diamonds approx.12.60ct. ring size 6.75.